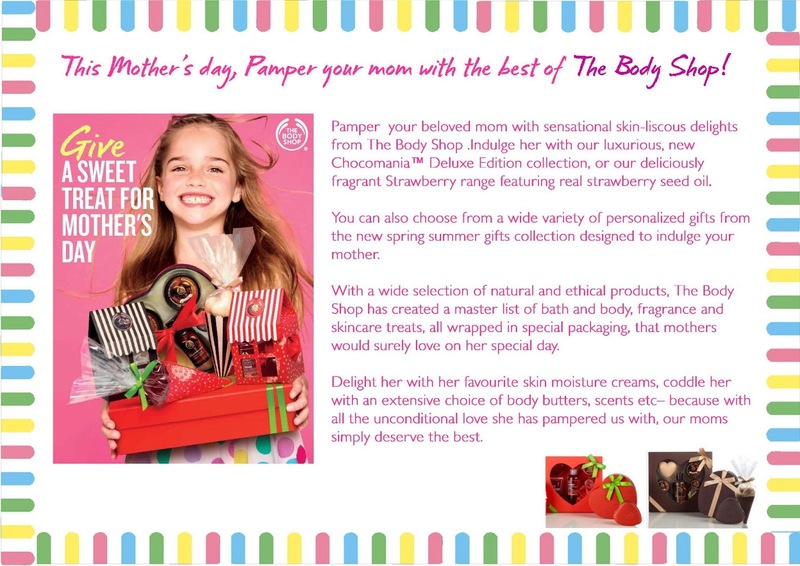 Pamper your beloved mom with sensational skin-liscous delights from The Body Shop .Indulge her with our luxurious ,new Chocomania Deluxe Edition or deliciously fragrant Strawberry range featuring real strawberry seed oil. You can also choose from the wide variety of personalized gift from the new spring summer gift collection designed to indulge your mother. With wide section of natural and ethical products The Body Shop has created a master list of bath & body ,fragrance and skincare treat ,all warped in special packaging that mother would surely love on her special day. Delight her with her favorite skin moisture cream, coddle her with her extensive choice of body butter scents etc because with all the unconditional love she has pampered with us mom simply deserves the best . The Body Shop Heart Box Set Deluxe, Rs 1795.